BEIJING—A group of Chinese fishermen apparently detained by North Koreans nearly two weeks ago has been released, Chinese state media reported Sunday. The state-run Xinhua news agency quoted Jiang Yaxian, Chinese counselor to North Korea, as saying the detained vessels and fishermen were on their way back to China. (Reuters) – More than 250 flights in and out of South Korea have experienced GPS signal jamming since the weekend, with North Korea high on the list of suspects, officials said on Wednesday. Similar jamming in the past was traced to the reclusive North, which last month breached U.S. Security Council resolutions with a failed long-range rocket launch and was blamed for cyber attacks on South Korean financial institutions last year. None of the flights, including 11 operated by foreign airlines, was in danger, the Transport Ministry said, with automatic switching of navigation to alternative systems. 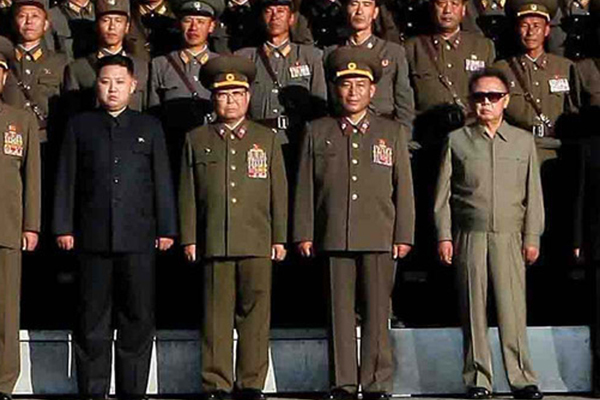 “As it happened at the time of (military) drills in 2010 and 2011, we suspect North Korea was engaged in jamming signals,” a government official said. Officials at the Korea Communications Commission declined to comment whether North Korea was the source of the signal jamming but said it had been identified as the culprit in at least one similar incident. A Defence Ministry official declined to comment on the source of the jamming but said the military’s equipment had not been affected. North Korea has stepped up its rhetoric against the South in recent weeks, hurling personal insults at South Korean President Lee Myung-bak and threatening to reduce the capital Seoul to ashes. It is expected to conduct a third nuclear test any day, possibly using a uranium device which would infuriate neighbouring countries and the United States which have been involved in talks to try to rein in its nuclear weapons programme. 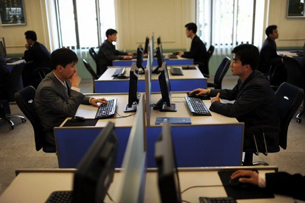 The threat of cyber war from North Korea is seen in the South, one of the world’s most wired countries, as increasing in sophistication. News reports said North Korea operates vehicle-mounted jamming devices that can disrupt signals up to 100 km (60 miles) away and is developing systems with further reach. 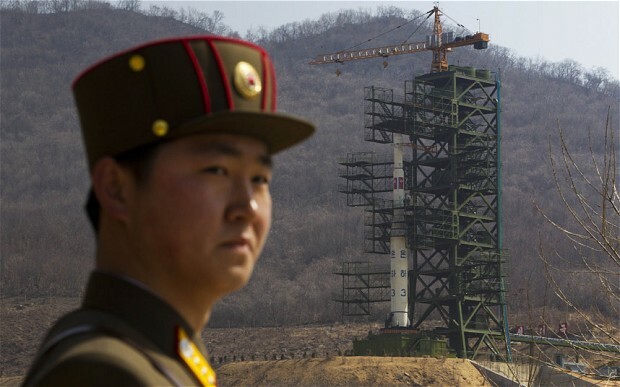 SEOUL, May 2 (Yonhap) — North Korea is believed to now have enough large stocks of weapons-grade highly enriched uranium for up to six bombs, a local nuclear expert said Wednesday, amid growing concerns that the North may be ready for a new nuclear test. The North has long been believed to have enough radioactive material for six to seven bombs using plutonium from its main nuclear complex located at Yongbyon, north of the capital Pyongyang. Since 2009, Pyongyang appears to have started relying on enrichment activities because of its dwindling stock of plutonium after two rounds of nuclear tests. (Reuters) – The United States, European Union, South Korea and Japan have submitted a list of about 40 North Korean companies to the U.N. Security Council’s sanctions committee for possible blacklisting due to Pyongyang’s recent rocket launch, envoys said on Tuesday. The committee, which includes all 15 Security Council members, received an initial response from China that it would only consent to adding two entities to the U.N. list of banned North Korean firms, which the United States and its allies see as too few, envoys told Reuters on the condition of anonymity. Two German analysts say ballistic missiles unveiled in a North Korean military parade earlier this month were clumsy fakes. In a paper titled, “A Dog And Pony Show,” Markus Schiller and Robert Schmucker of Germany’s Schmucker Technologie wrote that the six intercontinental ballistic missiles carried on mobile launchers in the April 15 parade were all bad mock-ups. The paper said the missiles appeared to be a mishmash of liquid-fuel and solid-fuel components that could never fly together. In addition, undulating casings on the missiles suggested the metal is too thin to withstand flight. The two analysts said each missile was slightly different from the others, even though all were supposedly the same make, and they did not even fit the launchers that carried them. Schiller and Schmucker said there is still no evidence that North Korea actually has a functional ICBM. 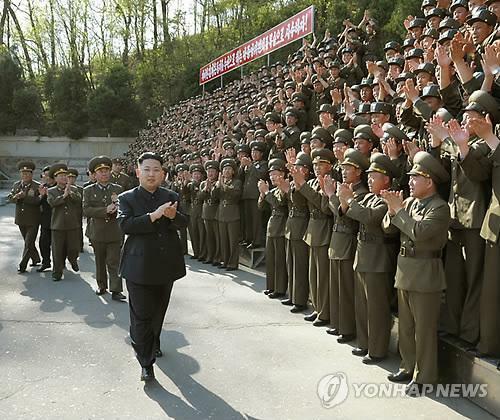 The large military parade, including nearly 900 pieces of military equipment, took place on April 15 to commemorate the 100th birth anniversary of North Korea’s first leader, Kim Il Sung.